Finalizing your divorce, regardless of your feelings about the breakup, can feel like a huge burden has been lifted off your shoulders. Getting through a divorce is a grind, and you now have the freedom to move on with your life and be your own man. However, the stress and worry of preparing for divorce and then actually going through a divorce might have prevented the reality that you are starting a new life from really sinking in. You’re now truly on your own, without your wife, and that involves its own set of challenges. It’s also important to realize that even though your case is final, there are still aspects of the divorce process that can affect your life. Certain things will need to be addressed months, and possibly even years, after the decree is issued. It turns out, some of the biggest divorce mistakes to avoid come well after you’ve finalized your divorce agreement. Here are some of the most common divorce mistakes men make that can delay their divorce recovery. These won’t change automatically. If you have not changed the designation with your insurance plan, even if your ex is no longer your beneficiary by operation of your decree, the play will pay to her. Your estate/intended beneficiary would then have to sue her to recover the money. After all the time you’ve spent dividing up your assets, you’ll want to make sure they go to your intended beneficiaries instead of probate court. Don’t wait until the time of sale or else you’ll have to track down your ex and hope she’s willing to sign. If you are still on the title of your vehicle, you’ll be treated as an owner in most states and could be held liable if there is an accident causing injury or property damage. If you fail to follow the terms set forth in your divorce order you could be held in contempt and end up right back in court. If there is a big enough issue with the orders in your divorce settlement, you can file an appeal or motion to modify. Either way, you’ll want to avoid contempt charges as that can result in fines and even jail time in some cases. Falling behind on child support or alimony is also considered contempt. If a change in circumstances lowers your income, you can usually file a motion to modify in order to lower the amount. It might seem like paying support directly to your ex is a good way to avoid the headache of getting an official court order, but if she ever decides not to acknowledge the payment then you’ll still probably owe the support and might have to pay twice. 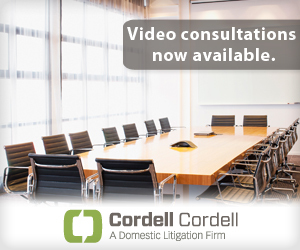 Out-of-court agreements typically do not hold up in court. To avoid this dilemma, utilize state-run agencies or a third party to keep track of your child support and spousal support payments. 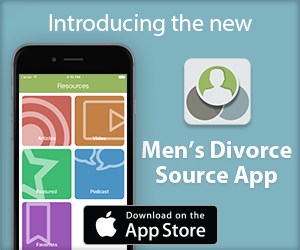 Research shows men tend to take divorce harder than women. Your wife was someone you probably trusted to always have your back. Now that she’s gone, your tendency might be to try to deal with all your problems by yourself and to push away those who may try to help. Shutting down and becoming reclusive will only worsen your feelings of sadness and depression. It can also lead to damaging behavior such as excessive drinking or drug abuse. Instead of going into isolation, seek out activities that expand your social circle and help you to reconnect with old friends. Join a gym, volunteer in your community, or even consider going back to school. Just make sure you’re putting your feet forward rather than getting stuck in a rut. Now that you’re newly single, it can be tempting to immediately jump back into the dating scene. This might be fun for a bit, but you should be wary of rebound relationships. Getting involved with someone too quickly after divorce can ultimately distract you from working through issues you need to resolve. A lot of guys also make the mistake of remarrying too quickly in order to get back to a comfortable routine and fill the void that their divorce left. This can lead to disaster as the divorce rate for second marriages is even higher than those of first. After dealing with divorce, you deserve a fresh start. Just try to avoid these frequent mistakes that men often make after divorce so that you fully heal and transition through this phase of your life in a healthy way without the past haunting you. To ensure you avoid critical mistakes after divorce, contact a family law attorney. They can help you as you’re coping with divorce by making sure you get the next chapter of your life started on the right foot. ← Are You Paying Too Much Child Support? Geez guys, just don’t get married. Don’t you see it’s a scam?